SAFETY FIRST — A PARODY. Lets say you went off to buy a car and you found one that looked real nice and was perfect for your needs. So you asked the dealer about its mechanical reliability and he says it runs well and it’s safety features are good. But then you noticed that the tires had been painted to look new and they were rather worn and the dealer tells you that the Safety Committee had given them the “OK”. Relieved you go with the dealer on a test drive and you notice that the brakes are spongy and that the brakes didn’t always engage when you stepped on the brake pedal. And the dealer says that the Safety Committee had inspected the brakes and had determined that they still had life in them and put out a memo stating that the brakes should be inspected again during next years safety update. But for now the Safety Committee had given the brakes an “OK”. Comforted by the “OK” sticker you decide to buy the car but as you are driving off the lot you notice that the windshield wipers were not working so you call this to the attention of the dealer. He informs you that the dealership will take full responsibility for their replacement during the next routine safety check. The dealer tells you that the Safety Committee will be informed that this replacement has been schedule and because it is not raining now it should be fine. Not convinced you say, “are you sure?” The dealer says that to replace them now would cost far too much because it would require a crew to be pulled off the regular repair rotation schedule and set back regular repair maintenance. This may jeopardize safety. And it’s not raining so it should be fine. And in order to relieve your fears he adds, “DON’T BE CONCERNED, WE DO IT ALL THE TIME”. As you are driving away the sales manager places a big red “X” on the sales performance chart and “high-fives” all around. The sales manager reminds the head of the Safety Committee of their golf date tomorrow followed with a night out on the dealership expense account to THE SUCKY-SUCKY, a Japanese sushi and lap dance lounge. Everyone is happy. And you are happy too. You rush home and gather the three kids and wife and Fido and head off on your vacation. Driving down the California coast on Highway 1 the family marvels at the majestic views and the exciting curves with the sheer drop of the cliffs to the Pacific Ocean below. All of a sudden you hit a thick fog patch and in your attempt to slow your left front tire blows and you swerve. 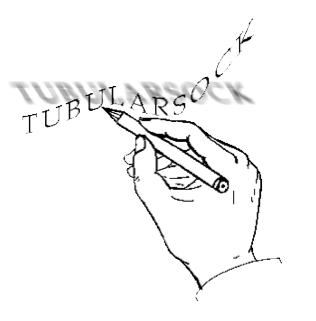 Your visibility being limited, due to the failure of your wipers, the moisture masses on your windshield as you attempt once again to brake ……. 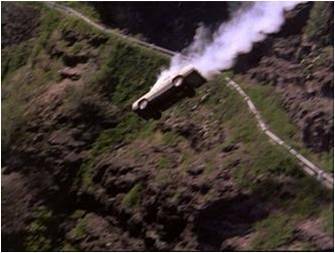 only to discover your pumping action is to no avail and your car plunges off the highway and down the sheer drop with you and your three children and wife and Fido to a fiery death below. Sadness abound and all morned the death of you and your three children and wife and Fido. Questions arose about the safety of Highway 1 and the safety of your car. CALTRANS puts out a press release stating, that while driving Highway 1 you must be careful. All protection barriers were in place and had been maintained to the specifications of the State Safety Commission. The automobile dealership put out a press release stating, that like ALL autos sold by the dealership your auto too had been fully inspected and had passed their extensive safety check procedure. However one young journalist who hadn’t been in journalism long enough to understand that the dealership was a major advertiser in her newspaper over-reported. She discovered by investigating beyond the standard coping and “reporting” verbatim from the press releases that other issues about the “track record” of the dealership safety procedures had been called into question several times before. The dealership called the editor of the newspaper and discussed a possible reassignment for the young journalist to obituaries and the newspaper agreed. The dealership placed an additional order for a larger Labor Day ad. The newspapers sales manager placed a big red “X” on the sales performance chart with “high-fives” all around. And everyone was happy. However, to ease public pressure the dealership stated that it would cooperate with the Safety Committee’s investigation of safety procedures because the dealership’s highest commitment was to SAFETY. The Safety Committee set it’s staff to the task of doing a complete investigation of the safety procedures of the dealership and to submit a report back to the Committee when it had been completed. And everyone was happy. Two years later the staff presented its report to the Safety Committee along with its recommendation for improvement and a meeting was called to inform the public of the safety findings. The staff recommend that rather than shoring up the existing safety procedure that allows the car to go over the cliff and then responding to the accident that maybe changing to a new procedure based on the European model of safety that focuses on continually reducing accident risk by replacing parts with the best parts and keeping the upgrade current rather than reacting to safety problems after the accident has occurred. The dealership immediately rejected the recommendations as too confusing and too costly. Following the European model where the dealership would replace parts with the highest quality replacement is not as good as what we do now by getting by on the old parts until they need replacing and then replace those parts with reasonably priced after-market product. THAT WORKS FOR US! The Safety Committee voted down it’s own staff and told them to rewrite the safety recommendations to be more in line with the current agreed upon system. And everyone was happy. Oh, I forgot. The Safety Committee all got really good deals on lease/buy contracts from the dealership. And none of the Committee ever took a drive on Highway 1 and they all lived happily ever after ………… the end. 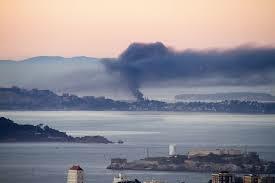 In Richmond, Ca in 2012 a massive Chevron Oil Refinery fire occurred which sent 15,000 to the areas hospitals and shut down one of California’s major crude oil refineries units for months. The cause was CORRODED PIPES NEGLECTED BY CHEVON. The U.S. Chemical Safety Board had its staff investigate the fire and create recommendations for improved safety. This report was released to the public on January 15, 2014. C. Safety case reports generated by the oil companies would be rigorously reviewed, audited and enforced. Well Chevron and the oil industries, the “scientific” community, The United Steel Workers Union, and political interests all protested any real change. Now let Tubularsock guess why this motley crew would oppose changes that would improve safety from the current hodge-podge. 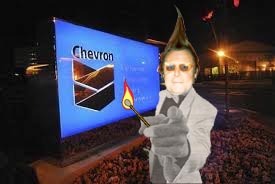 Well for Chevron and the oil companies ….. profit! Chevron made more money when the refinery was closed down because the price of gas in California increased because of short supply and increased demand. As well as not paying out fort costly repairs until something blows up. PROFIT at the risk of people’s lives. Thank you so much Chevron. Now, let me see …… what “scientific” community? Why would a scientist be in favor of corroded pipes? Well, only scientist who work for Chevron that’s what kind of scientists. But, The United Steel Workers Union? Jobs! Now you’d think that a union would want to protect the safety of their workers ……… no ……… JOBS that is all that is important! 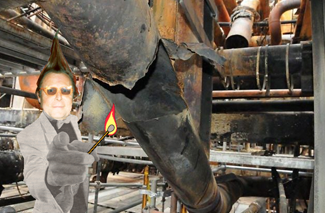 Most Steam-Fitters and Boilermakers that Tubularsock have discussed refinery safety with will tell you that the only thing that stands between the oil company and a worker’s safety is the foreman and the shop stewart. If they are strong willed they won’t put their work team in danger. They also have plenty of stories where the company will use undersized pipes and fast repairs in order to keep production going even at major risk to life and public safety. And then “political interests” which mostly is about campaign donations. What else is there for a politician? So what is the end result of this 115 page report? The Chairman of the 3 member U.S. Chemical Safety Board, Rafael Moure-Eraso voted in FAVOR of a new direction to a broken system. But his fellow two Board members, Beth Rosenberg and Mark Griffin voted for business as usual. So the Board told the staff that they had 120 days to oil it down. Progress is our most important product ……… bend over!